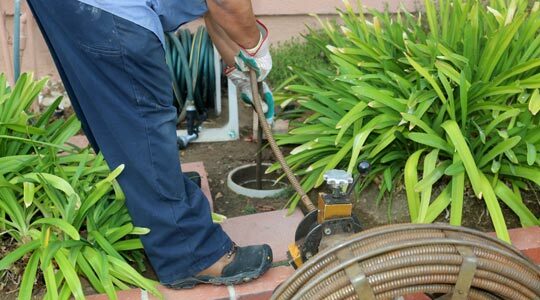 You can always expect high-quality service when you call Septic Service Pro for your septic needs. We have built a stellar reputation in our industry by serving the residents and businesses in northern Georgia for many years. You can trust our team of septic specialists when you need any type of septic service, from routine maintenance and emergency repairs to pumping and inspections. At Septic Service Pro, our expertise is septic systems. We are not plumbers that occasionally do septic system work; septic inspections, repairs and maintenance are all we do. When you call us for a septic issue, you can be assured that our crew can handle any issue you have. 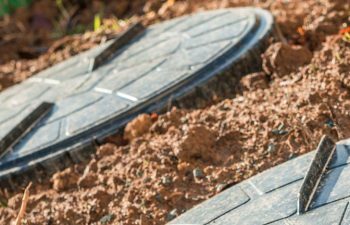 We are licensed and insured to repair, install (which we no longer do) and inspect septic systems in Georgia, with an excellent reputation for our quality. Regardless of whether you need a routine inspection or a drain field repair, we are ready to come and assist you with your septic problem. A septic system is designed to take all waste water used by humans in a house and process it to be returned to the environment in a safe and sanitary condition. The great majority of these systems operate as gravity systems depending on water to flow downhill. Exceptions occur when the waste water must be lifted up to proceed to the next step, then an electrical pump is used. The clean water enters the house under pressure. It is distributed in the house to sinks, toilets, showers, washing machines, etc. by pipes with faucets or valves to control flow. Once the water is used, it flows by gravity to drain pipes which slope downhill connecting to larger drainpipes collecting all the water until finally there is one gravity fed drainpipe leaving the house. Note: Tanks are sized so under average conditions – – the solids collected in the bottom on the tank need to be pumped out every 3 to 5 years when the occupancy of house with 1000 gallon tank is 8 people or with a 1500 gallon tank 12 people. Once the water enters the tank, some material floats and some sinks to the bottom. The bacteria entering the tank with the water, multiplies eating the organic matter which has come in. As the floating layer is eaten the remains fall to the bottom. The floating layer is kept in the tank by the exit baffle tee so it cannot go down the exit pipe leading to the absorption (leech, or drain} field which is placed lower than the exit hole in the septic tank – – water flow from house to soil is all by gravity. If there is any blockage along this route to the tank, then the water leaving the house cannot leave, so it comes out in the house at the lowest escape point in the drain plumbing – – the lowest shower, tub, or toilet in the house. The septic tank cannot push water up hill, so water on the floor is the water you used at a location higher in the house. This is called “Backup”, but it should be called a “STOP up”. Simply stated the last sink, shower, or flush can not leave the house via the main line so it follows the path of least resistance. i.e. the lowest shower of gurgling toilet. To lift water exiting the septic tank to an absorption field higher than the septic tank because the land best suitable for the drain field is higher than the septic tank exit hole. 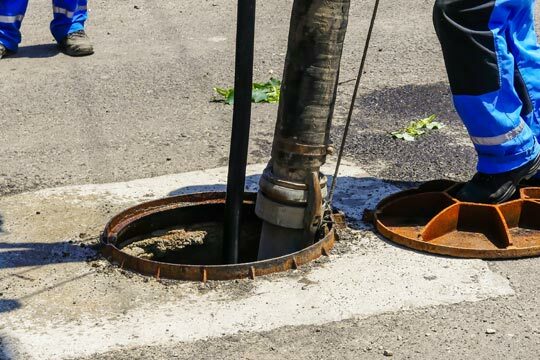 Sump pumps are not connected to the septic system or sewer but are used to lift ground water entering the basement back outside and not into sewer or septic tank. Septic tank pumping is crucial to maintaining your septic system. An overflowing septic tank can contaminate your home or business, creating a biohazard and an undesirable inconvenience. Routine pumping for your septic tank is recommended to avoid sewage backups and protect your system. We offer affordable pumping and maintenance for your septic system, as well as emergency repair and pumping services. Just call our team to get a free quote for your next pumping service or to schedule a routine maintenance appointment. 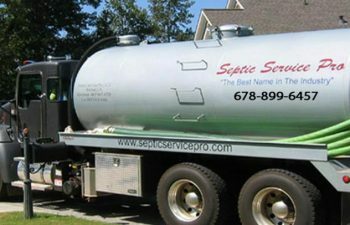 When you need your septic tank pumped in northern Georgia, give us a call at Septic Service Pro. We offer emergency service for septic pumping and repairs. A septic tank full of sediment can result in sewage backups and a septic system failure. You can trust our team to quickly respond when you need your septic tank pumped to resolve a system backup. All work is by our licensed and insured crews – you can always depend on our team to be on time and complete your service to your satisfaction. 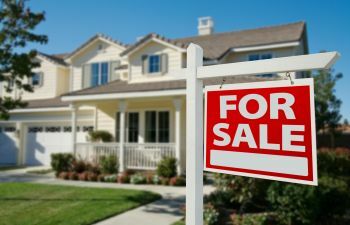 A well-functioning septic system is a vital component of a home, which is why septic system inspections are needed whenever a home is sold. If faults are found, many times the seller will pay for the repair saving buyers thousands of dollars. Our experts at Septic Service Pro offer quality septic inspections to ensure that every aspect of the waste disposal system is working correctly. Our team consists of experienced septic system specialists that use the latest technology to locate and inspect drain lines, septic tanks, drain fields and system operation. Every inspection we do is complete and our clients receive a complete written inspection report for their records. Residents and realtors choose Septic Service Pro because we do our best for complete customer satisfaction and do the same inspection that we would want done if we were we buying the house. 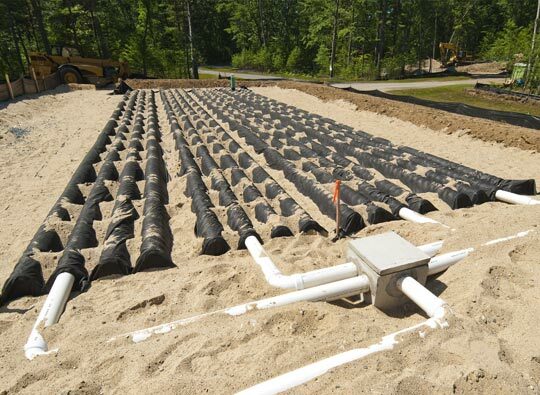 Septic systems are designed to last for decades, but they need ongoing maintenance and repair. Your septic system should be routinely inspected to ensure it is performing correctly, along with septic tank pumping as needed. When a problem occurs with your septic system, you can trust our team at Septic Service Pro to come to the rescue. We are northern Georgia’s septic system and drain field specialists. You can expect an immediate response from our crews. Plus, our goal is to leave a satisfied customer who understands what is needed to be done and why. If you own a home or business in northern Georgia with a septic system, choose the local experts for repairs and maintenance. Septic Service Pro is your source for ongoing maintenance, tank pumping, drain field repairs and septic inspections. 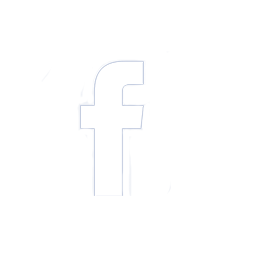 All our services are high quality and we offer top-of-the-line products for our customers. Contact one of our knowledgeable team members for a free estimate or to schedule an appointment for all your septic service needs. Septic Service Pro’s Sewer & Septic Service provides both residents and businesses with full service septic tank pumping and septic tank cleaning. Browse through our web site for further details about our services. Count on Septic Service Pro for dependable septic tank pumping. After years of use, your septic tank has accumulated sludge and scum build-up. When this happens, it’s time to get your septic tank pumped by one of our sewer and septic services professionals. If you need your septic tank inspected prior to purchasing or selling a home, we can help. In addition to all quality sewer and septic services, we utilize innovative technology for septic inspections to guarantee thorough inspection of your septic system. Call Septic Service Pro when you need reliable drain field repair. They understand our lives can become quickly interrupted whenever we experience an unexpected drain field problem. Every home contains multiple drains. Call Septic Service Pro when you need main line cleaning. You can help avoid your main line clogging and septic tank problems by avoiding extra debris from being thrown in your toilet, sink and shower. Count on Septic Service Pro when you need a sump pump. What is the job of a Sump Pump? 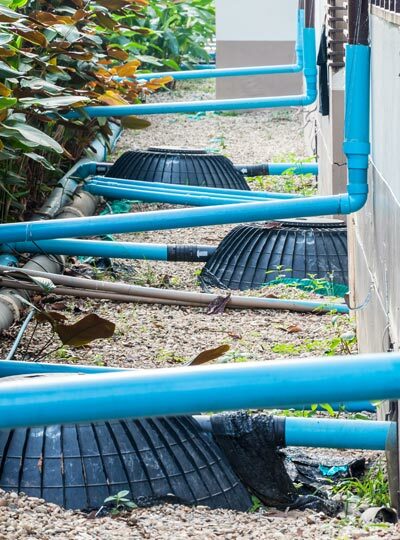 It guards your basement against flooding during rain storms and safely gathers ground water underneath your house, then discharges unwanted water in the opposite direction of your home. Mike and Shane came out and did an outstanding job on replacing our septic pump. Same day service – and they came out on a Friday evening! Mother’s day would not have been very happy if they didn’t save the day. HIGHLY RECOMMEND!! We had our septic tank pumped and baffle tee replaced. The guys were on time, respectful and quick. They cleaned up very well after the job and even fluffed our pine straw to perfection!! We’d recommend these guys without hesitation. Michael and assistant pointed out a leaking toilet that I didn’t know I had (saved me $ there!). They also disturbed very little of the yard to get to the tank. Not the super cheapest but no hard upsell when they got here. Very pleased.